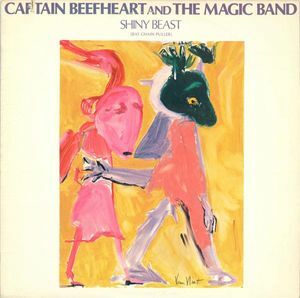 The story of Captain Beefheart is filled with conflict with Frank Zappa, and the history of Shiny Beast and its original form, Bat Chain Puller, is a case of how not to do business. This version of the song was taken from the sessions for Shiny Beast, and I think I prefer it over the officially released take. This version is rickety, propelled by a programmed synth beat that is buried in the finished version, with Don van Vilet going off the rails in a way that can only be called Beefheartian. It’s spooky and catchy and fun and weird and totally unlclassifiable. Admittedly, yours truly isn’t a very knowledgable source of information on the world of Beefheart, but having heard this track (thanks to Per Sjoberg for the tip! ), my curiosity is piqued!